A pontiled crude tombstone type medicine, with Shaker label. I would like some opinions about this medicine I recently acquired. I'm uncertain whether to keep it or sell it depending on what I find out about it. It has the label of the Shaker Society, (a religious cult community n New England and later spread across the country, most notably in Ohio), which were famous for their patent medicines. 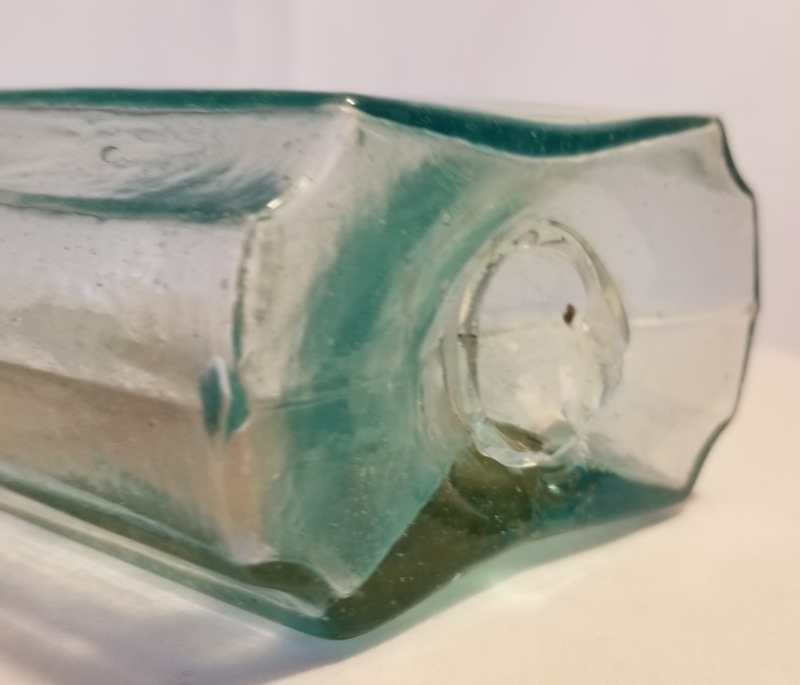 This bottle has all the looks of early glass. 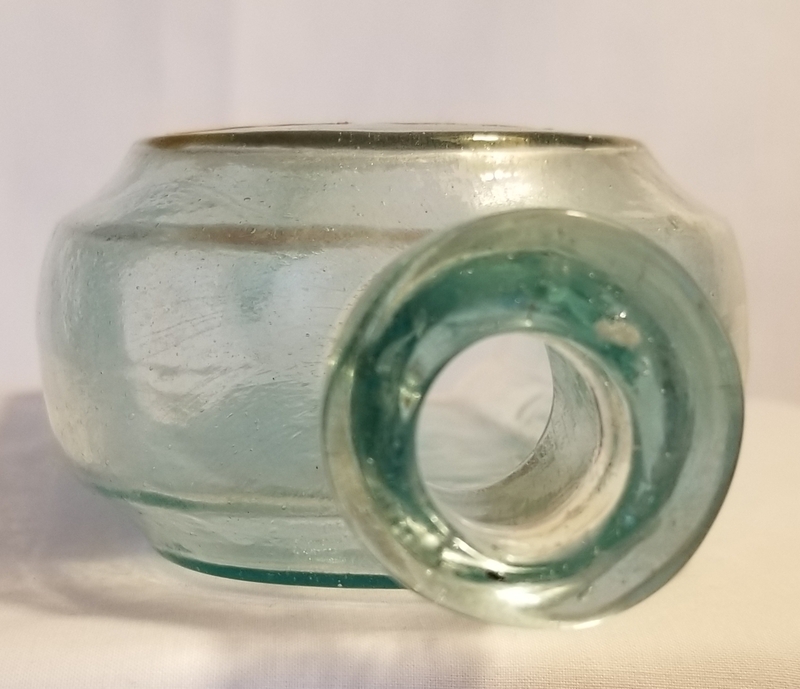 It is an aquamarine blown glass medicine or utility in two mold form with concave beveled edges, with hand tooled, unusually sloppy, crudely applied square collared mouth. It has a crude and wavy surface, and open pontiled base. It has many manufacturing imperfections: small and large bubbles (none broken), small and large pot stones, (no apparent spider legs), and moderately heavy whittled surface. With the addition of an apparently original label, with simple form printing and small accent banding. (Label may or may not be original to the bottle, but itself seems to be an original). 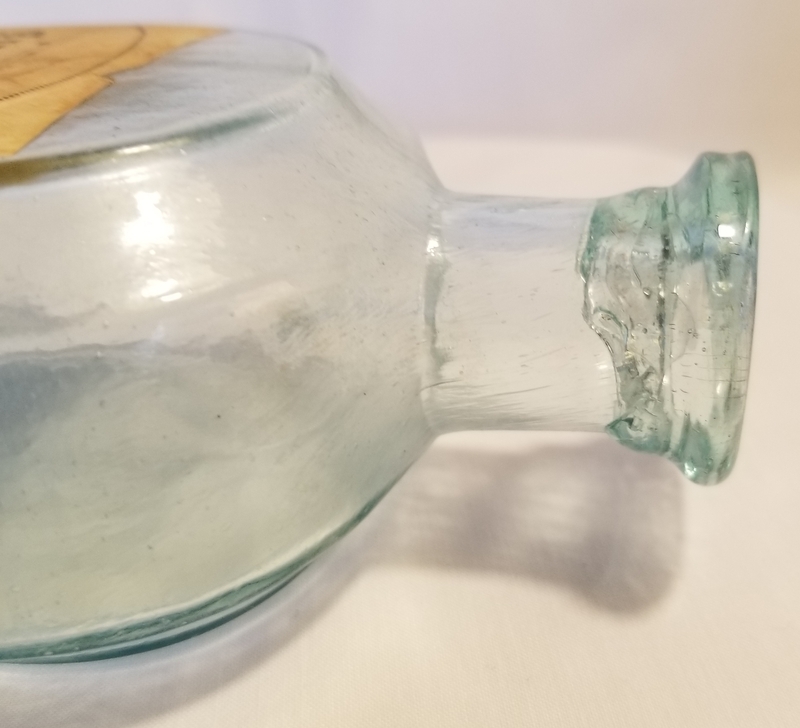 Label has staining, and missing edge pieces, as is obvious from the photos. I have seen this identical label on only one other, but much more recent medicine than this one appears to be. The label is unique in that there are only the three words on it. Other Shaker patent medicine preparations had similar style labels but with much more information. There is a small hard to detect chip on the base associated with the pontil break point, and another tiny chip at the bottom edge of the right-hand front side. I have no question that the bottle and the label are authentic. 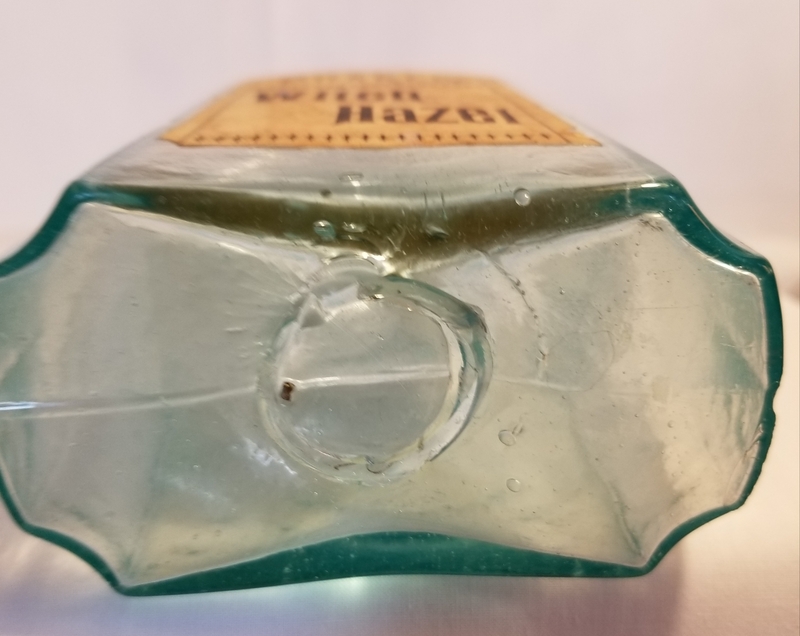 My gut reaction is that the label may be a bit later than the bottle, but it was common practice in the 19th century to re-use bottles. As medicine bottle forms go, this is a great one, even without the label. Thanks Chris. Very helpful. Wishing I could make up my mind what to do with it. Do you make suggestions on the best way to sell? I'm familiar with eBay, but not sure if that's the best way to go if I decide to part with it.